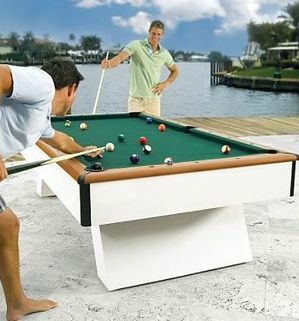 This regulation, weather-resistant Outdoor Pool Table takes outdoor entertaining to a new level. Work on your game while you soak up the sun or play in the rain if you'd like — weather-tolerant materials and construction provide durability in any climate. • 6"W x 30.5"H x 100"L.